Nepal’s winter wheat harvest is expected to jump 8 percent to 1.87 million tonnes in the current fiscal year despite hailstorms in key producing areas, the government’s preliminary estimate showed. Wheat is the third largest cereal crop in Nepal after paddy and maize. 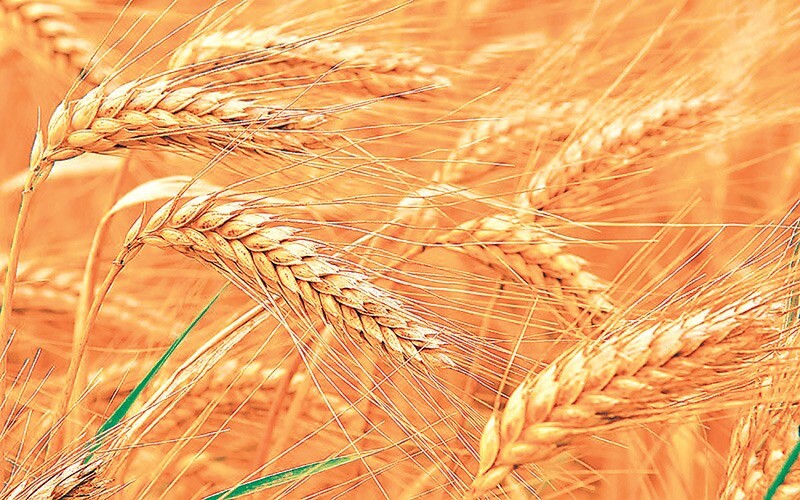 Based on the average price of wheat of Rs21 per kg, this year’s harvest is worth nearly Rs40 billion. Due to favourable weather during the key planting period and the use of improved varieties of seeds, the country is expected to witness a ‘good output’ this fiscal year, said Shankar Sapkota, assistant spokesperson for the Ministry of Agricultural Development. Meanwhile, Nepal is headed for the largest paddy harvest in history this fiscal year as production has been projected to jump 21.66 percent to 5.23 million tonnes, after two consecutive years of falling harvests triggered by drought. Wheat was planted on 743,000 hectares this fiscal year. The ministry said this year’s productivity has been recorded at 2.5 tonnes per hectare, up from 2.3 tonnes per hectare recorded in the last fiscal year. About 45 percent of the wheat acreage is now covered by improved wheat. The country witnessed a record wheat output of 1.97 million tonnes in 2014-15. Wheat output plunged 12.1 percent to a six-year low of 1.73 million tonnes in the last fiscal year 2015-16 due to winter drought. Sapkota said that wheat productivity has also increased due to the increased use of machines in the farm sector. “Farm mechanization has been growing in the country due to the scarcity of manpower,” he said. He added that bumper harvests of paddy and wheat would put the country in a comfortable food surplus position this year. The government also implemented the Rs130-billion Prime Minister Agriculture Modernisation Project last year, which envisages adopting modern farm techniques to boost productivity, and making the country self-reliant in food. Nepal is likely to get a ‘normal’ monsoon, signalling hopes of good harvests of key crops in 2017-18 in a country largely dependent on agriculture, as per the consensus statement of the 10th session of the South Asian Climate Outlook Forum (Sascof) released last month. According to Sascof, except for the Far Western Region, the probability of the monsoon in the rest of the country is normal. The forum was held in Bhutan from April 24-26.